Upendra will not be contesting the upcoming Lok Sabha elections, but fielding contestants from constituencies across Karnataka. Real Star Upendra will be not contesting the upcoming Lok Sabha elections but he is fielding candidates from his Uttama Prajaakeeya Party, also known as UPP. He released the first list of names who will be contesting from 14 constituencies from Karnataka on Saturday, March 30. The Real Star introduced the names of the candidates in a cinematic way through a song at the Bangalore Press Club. 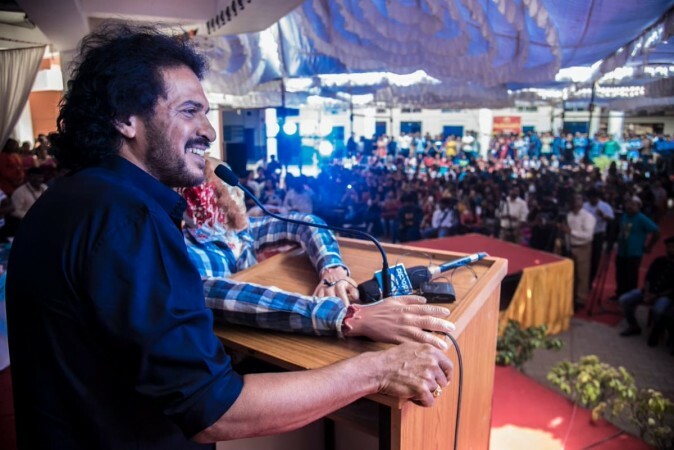 Speaking at the event, Upendra said that he has the responsibility of building the party. As a result, he has decided not to contest this time. However, he hopes of contesting the next assembly election. Upendra stated that the UPP will not join hands with any other political parties. They have selected the people, who have a clear understanding of the party's value and ideology. The director-turned-actor said that the party wants the candidates who believe that election can be won without caste, muscle power and money. Upendra claims that people often complain that politicians are accessible only during election season and they do not have time for people after polls. But the UPP candidates will be available even after the elections and engage with people to address their problems. It may be recalled that like Upendra, Tamil actor Kamal Haasan has forayed into politics by floating Makkal Needhi Maiam. His party has fielded candidates across Tamil Nadu in 39 constituencies, but he is not contesting in the poll.